Thai food - so often reduced to what Phil Lees once memorably termed "traffic light curries". 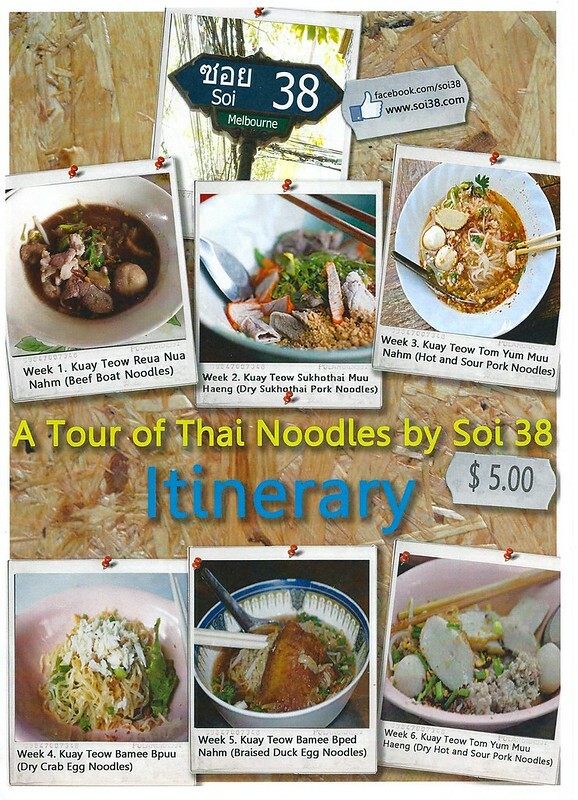 Well, ignore the lights, put your foot down and take off on a tour of Thai noodle soups with Soi 38. 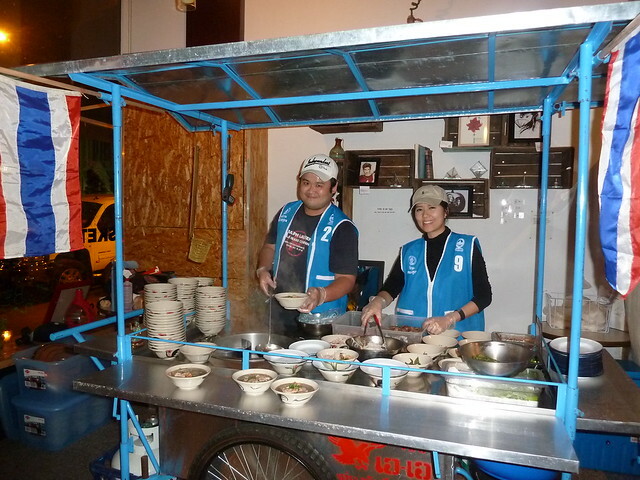 Noodle cart Soi 38 began life in Andy Buchan's backyard where he slowly perfected his Thai 'boat noodles' (very loosely comparable to Vietnamese pho). He's now teamed up with Top (left), formerly of Tidlom Thai Antique. 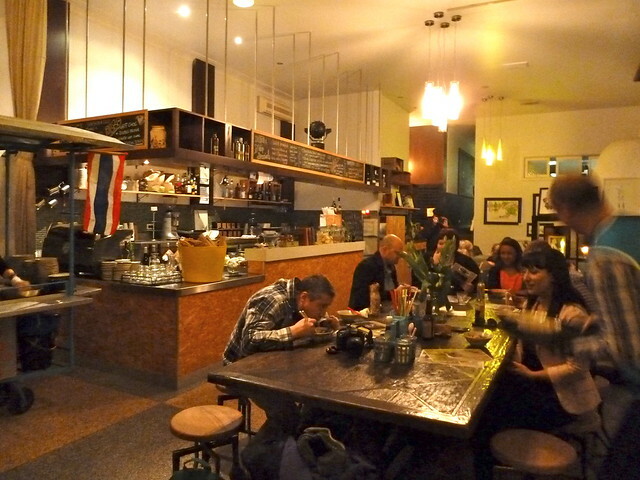 Their mission is to introduce folks to popular, authentic Thai dishes that are under-represented in Aussie Thai restaurants. 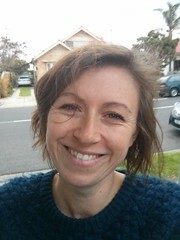 To this end, the lovely Huda (above) from Sketch and Tulip in North Melbourne is hosting our noodle soup crusading duo for the next six Friday nights. 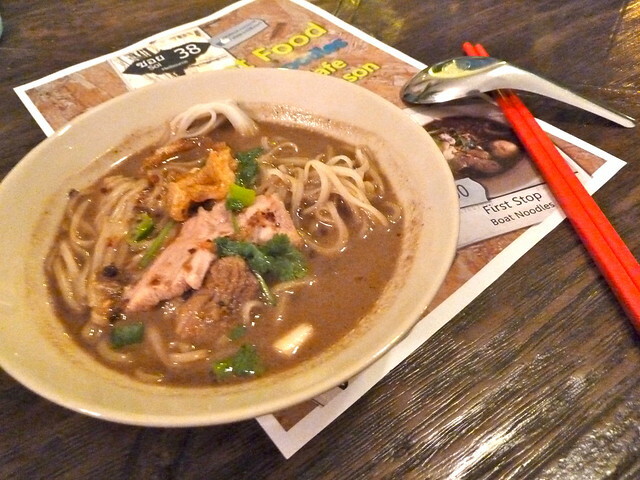 Andy and Top had a "family and friends" night which I popped into to try a couple of freebie bowls of boat noodles. They are wickedly good, with a dark, smoky broth just covering a pile of rice vermicelli, water spinach, slow-cooked beef chunks, pork crackling and just-cooked rare beef. Each table has a caddy of fish sauce, white sugar, pickled chilli and dried chilli. Even though the broth is so tasty and balanced, give it a sprinkle with the toppings as they really send the flavour profile into hyperdrive. Noodles are a most excellent $5 a bowl (they're just small, so you'll probably need two or even possibly three to fill you up). There's also Doss Blockos beer for $7.50 a pop. Check out the full itinerary below, plus Soi 38's website and Facebook page. 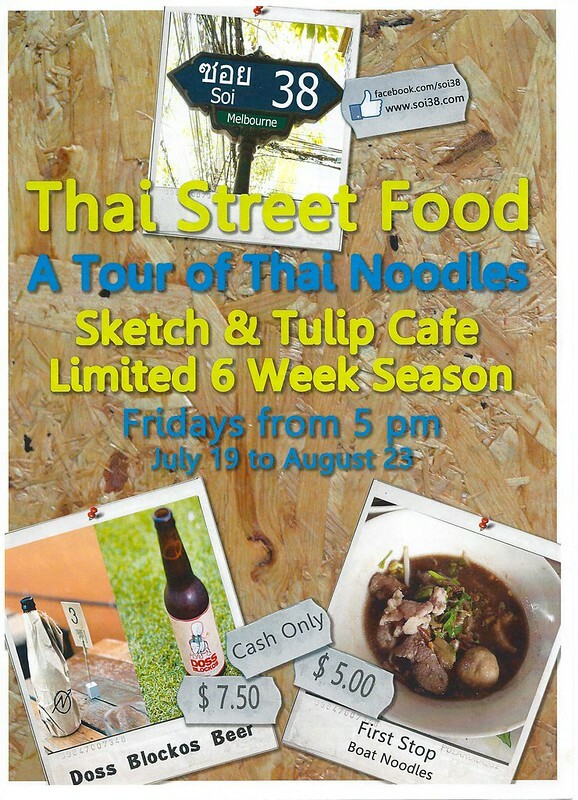 First stop is boat noodles this Friday night, July 19, from 5 pm, then come back each Friday until August 23 for a different authentic Thai taste each time. Nat, head down, concentrating on the moment, goes slurp! All is well with the world! Looks like thats our CBAs covered for the next few weeks!!! Daniel, I have seen that you have been enjoying Soi 38! I'm so happy for Andy and now Top too. 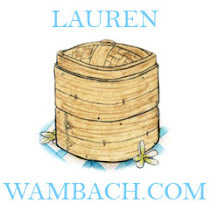 Can't wait to see what the next reincarnation for our favourite food cart will be.